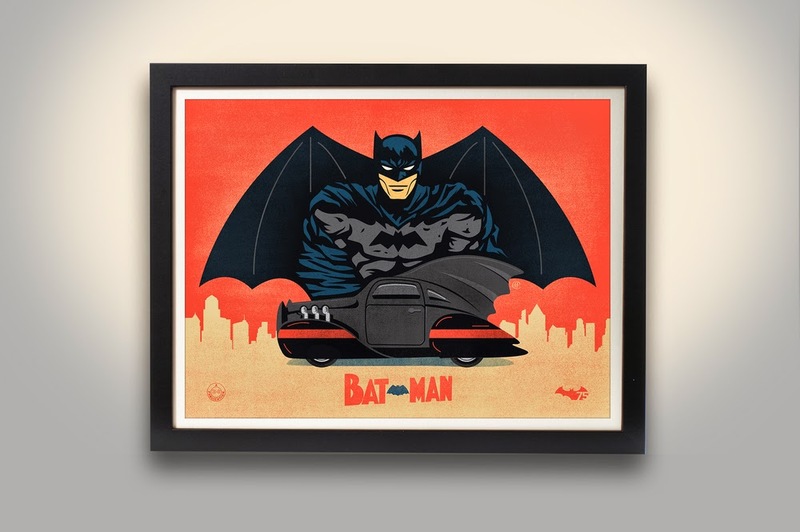 There is an Artist named Harlan Elam who is offering a "Golden Age Batman" Fine Art Print online that Celebrates the Dark Knight's 75th birthday by going old school. 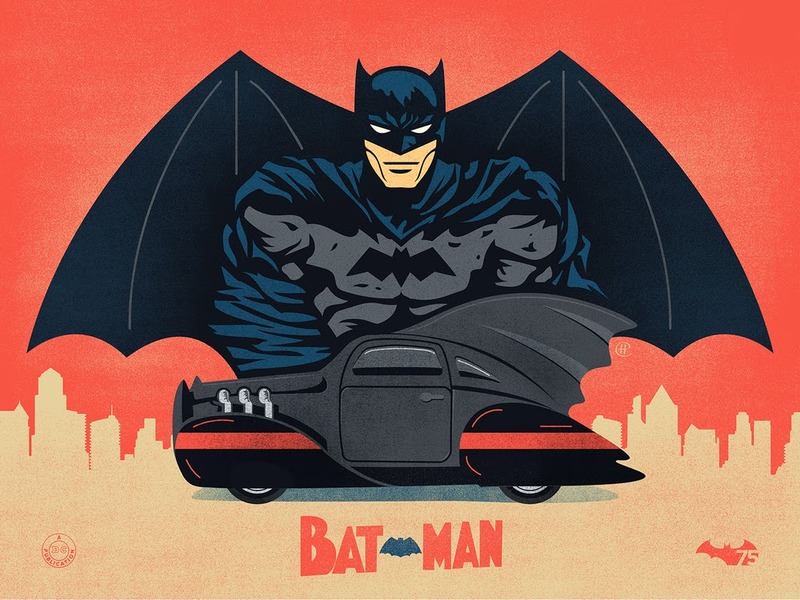 He wanted to combine the classic 1940's logo and Batmobile. Yes, this is the BAT-MAN in true comic book form. He is offering his vision in two different formats, one color and another in black and white. They each measure approx. 18 X 24" and are a 5-color screen print with a Metallic Variant. Ready to print if you're interested. For more information, just CLICK HERE!